So I have been thinking about pot pies a lot lately. I mean, you could really put anything in them! I like the creamy chicken pot pie that MiMi makes so much, that I hardly ever venture from there. But, she made a really good cheese and broccoli pot pie last time she made them and I have been dreaming about making a beef and mushroom pot pie with a wine sauce. I mean really, how can that not be good. It is going to happen people! I am just not sure when. All the while, MiMi's head was going a completely different direction. 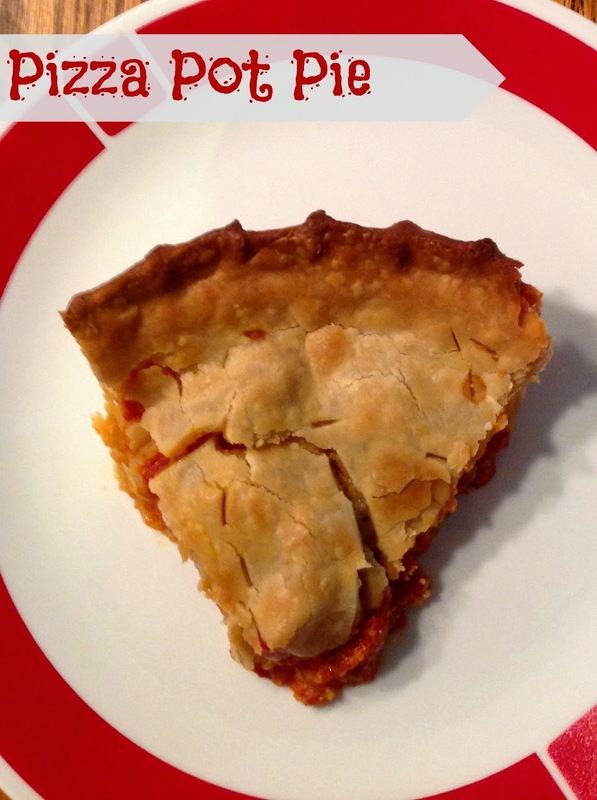 Why not a pizza pot pie? I know, mind blown! 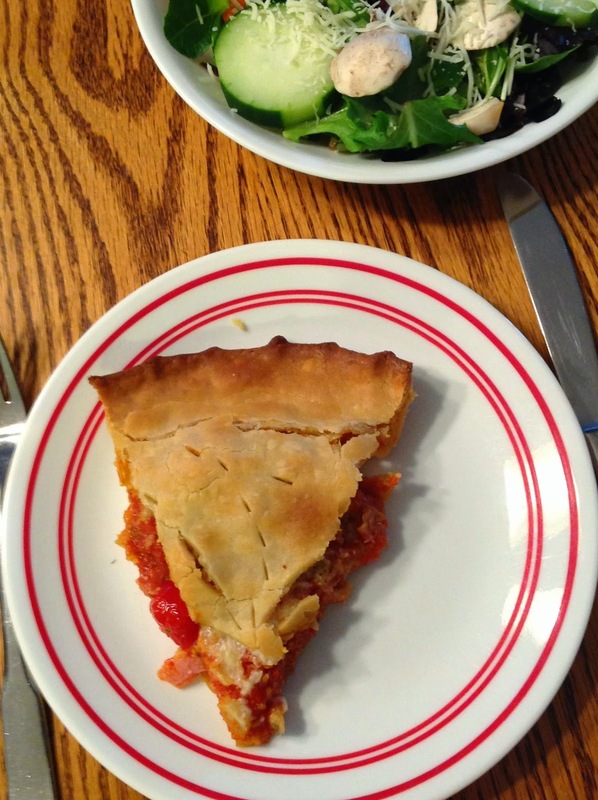 It seems a little strange to put pizza toppings between pie crusts. But really, why not? I mean, don't you love it when you get that takeout pizza with the buttery flaky crust? Do I need to give you a minute to mull that over? Ok. Just trust me, it will work. See, it works! Look at that. Now you are starting to believe! Spray pie plate with cooking spray and sprinkle with cornmeal as a little nod to a pizza crust. Bake at 425 F for 30-40 minutes. Let it cool for at least 10 minutes before slicing. You don't want all of that good cheese running everywhere! Throw together a nice salad, and you have a meal! I wasn't entirely sure it was going to work... but I'm glad it did! It's a fun new twist on pizza. I know, right?! Why didn't we think of this sooner? Thanks for hosting! It's a fun mash-up! Thanks for hosting. I like to party with you too! Thanks for hosting, see you tonight!